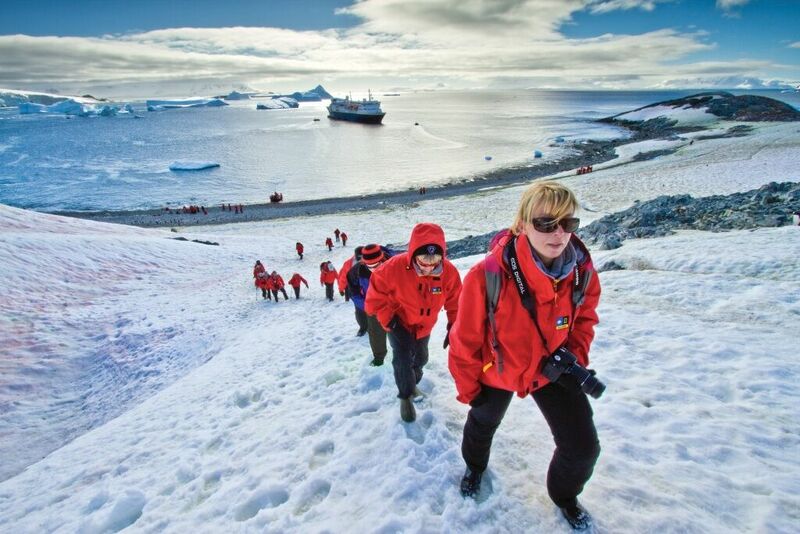 Wildfoot Travel Expert Gillian Landells heads off to Antarctica in a few days. We interrupted her packing to ask her if she had any words of advice to share. 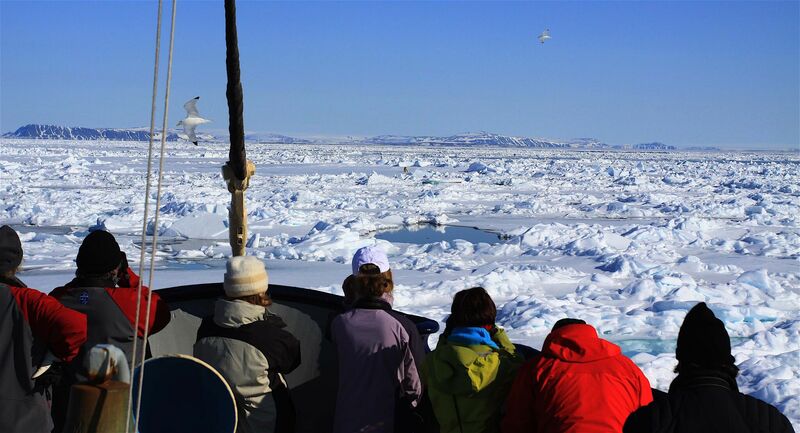 So, you’ve booked your once in a lifetime Polar expedition. Congratulations, I know this will be one of the most life changing experiences you have ever had. But right now your mind is filled with the question of what to pack and how to prepare for a trip like this. Luckily for you, this is the exact process I’m going through right now – as I leave for Antarctica in a matter of days. So I’m writing a few notes, in the hope that they may help you plan for your trip. Here are a handful of pointers which may help you pack your bags better. Packing for Antarctica is a daunting, slightly overwhelming task. You imagine the coldest climate on earth and immediately start packing clothes which are meant to withstand the extreme cold. In reality though you are going to this area of the world in its summer time. Yes it will be cold. But not as cold as you think. Temperatures can hover between -10C to +12C but usually will sit around freezing point with the chill factor taken into consideration. The conditions are changeable though – a bright sunny morning can turn into showers, light snow and biting cold winds. So be prepared for change and you should be just fine. 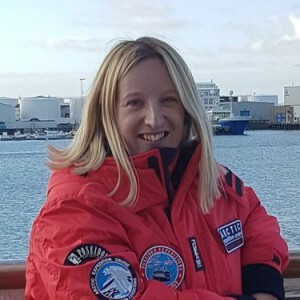 I’m going to start from the head going down to the feet covering all the items you will likely need to make sure you enjoy your Antarctic experience whilst keeping warm, dry and comfortable. A hat is a vital accessory in antarctica. Make sure it will will cover your ears. The hat you take needs to ideally cover your ears as well as your head whilst a neck gaiter needs to be able to cover your face. Taking items which have a dual purpose is the name of the game. You may not look your most attractive but where you are going it is not exactly going to be Milan Fashion Week! Sunglasses especially polarised ones will help protect your eyes from the glare of the sun. The sunlight reflecting off the majestic icebergs will stun you in more ways than one! On the subject of the sun, taking a high factor sunscreen with you is a must. Your position in Antarctica will have you underneath the ozone layer at its thinnest so don’t get caught out and do apply that sunscreen generously. For this next part, think of yourself as an onion. Wearing lots of layers. You want to be able to remove a layer at a time if you are feeling too warm and add layers if you are feeling the cold. The simple theory is that each layer traps a pocket of air providing more warmth than one heavy layer. Base layers like thermal underwear, tops and long johns are so important in order to have a thin layer of material against your skin. Avoid cotton which holds moisture or perspiration, leading to cold and discomfort. Instead opt for manmade hydrophobic fabrics, which repel moisture away from the skin ‘wicking’ it upwards and outwards to the next layer, keeping you warm, dry and comfortable. These fabrics also dry very quickly, which means you can give them a quick wash through and hang them up to dry if you need. These principle have been followed by mountaineers for decades so I would recommend that for advice on the right base layers to choose, try any dedicated ‘outdoor’ retailer. Next follows the mid layers which include fleece tops or sweaters. Once again, fleece is a hydrophobic material, efficiently wicking moisture away from the body toward the air but at the same time insulating very efficiently. Good fleece is warm whilst very light and quick drying. Breathable outer gear and moisture wicking layers below will allow water vapour from perspiration to escape if you are working up a sweat on an activity. Your final layer will be your parka. 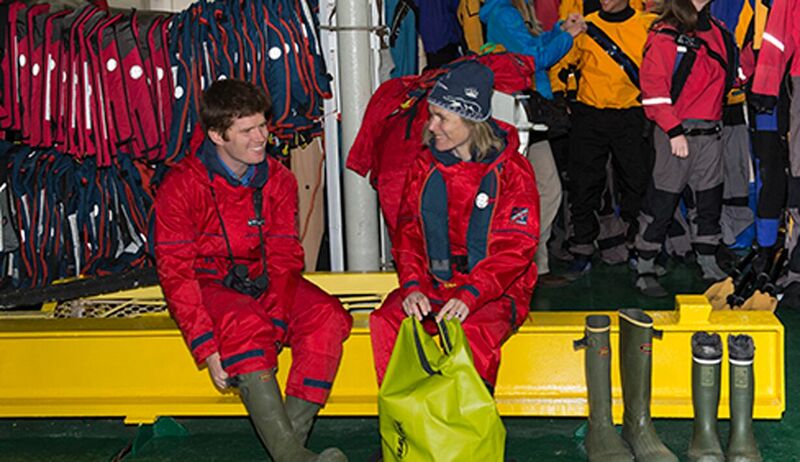 If you’re lucky your expedition company will give you a complimentary parka whilst onboard which is yours to keep at the end of the voyage. These are usually bright in colour so you will stand out from the ice, extremely good quality and made up of different layers. If you do not have a parka included and need to buy one then make sure it is a lightweight, wind and weather resistant shell with insulation. Your parka is probably one of the most important items you will be wearing during your expedition so make sure you buy wisely. Your parka should always be made from a waterproof but ‘breathable’ material. This allows moisture to travel out into the air but does not allow and water to penetrate from the outside. It may all sound like black magic but you’d don’t need to understand how it works. Just check that your outer layer is breathable as well as waterproof. Again, any good outdoor retailer will give you the advice you need. Now let’s keep those hands warm shall we? Two pairs of gloves are recommended. A thin pair against your skin and a thicker pair on top. I would also pack an extra pair in case you lose them somewhere along the line. As you will be going out in zodiac cruises 2 to 3 times a day, keeping dry is essential. Taking a couple of pairs of waterproof trousers will be invaluable and putting a pair on over your base layers before heading off on zodiac trips and onshore activities will become like second nature to you whilst on your trip. You will thank me when you’re able sit down on the snowy ground taking in your surroundings and some inquisitive penguins whilst keeping dry and warm! Waterproof over trousers are a must for Zodiac trips, of which there will be many. Make sure they have zips (and probably Velcro fastening as well) to allow you to put them on and take them off whilst you have big boots on. When it comes to socks, pack as many as you can! During your time in the Antarctic you will be wearing two pairs at a time – the first pair being thin and ideally made of polypropylene. The second pair will be worn on top – thick and woollen is recommended. The combination of the two layers should keep your feet nice and warm. Dry feet make for a happy explorer! Most expedition companies will provide you with a pair of rubber waterproof boots for use during your trip – if you are not sure if yours does provide them please ask your trusty travel consultant who will advise you! These boots will be worn on every zodiac outing and will form a vital piece of your Antarctic kit. Pulling rubber waterproof boots on and off is an experience you will get to know well as you enjoy regular zodiac trips. If you have to purchase your own pair make sure they are rubber, mid calf or higher in height, that they have a non-skid sole and most important completely waterproof. This pair of boots will become your best friend on this trip so invest in a proper pair and you will not look back. Apart from your numerous layers don’t forget to pack some jeans and comfortable tops for your time spent onboard the ship. There will be times you will be looking forward to escaping your waterproof trousers and thermals so pack your normal everyday clothes so you can relax in comfort. A pair of light slip on shoes are a great thing to pack to wear around the ship; your feet will welcome the change from the rubber waterproof boots which practical as they are don’t exactly let your feet breathe! Dining on most vessels is a casual experience so don’t worry about taking your ballgown. However, on the last night some people like to dress a little more formally for dinner, a smart casual outfit will suffice but the rule is that you should always wear what you feel comfortable in. Now you have all these items of clothing, you need a bag or case to pack them into. The most popular luggage is the large wheeled duffel bags or a large backpack – if you can find a weather resistant or waterproof one even better. You will need a day pack as well which will come with you on your zodiac trips, it will serve as a home for your camera, spare pair of socks, snacks, an extra pair of gloves, a spare camera battery and memory card. Nothing too heavy but some essentials will you will want with you whilst being off the ship exploring. A spray proof bag is another good thing to remember; you can store your camera in it to protect it from the spray whilst travelling in the zodiacs. Salt water and cameras do not mix so use the spray proof bag and place that in the day pack; you will need that camera working during your time in the Antarctic so look after it the best you can. Now that we’ve run through clothing let’s move on to the other components of your suitcase. As you will be setting off to a place of absolute natural beauty, a camera is a must. Now I am no professional photographer but I do have a keen interest so this is definitely a time to improve my skills. I’ve packed a trusty DSLR Canon camera with a selection of lenses – a wide angle for capturing those amazing scenic shots and a couple which will be good for capturing animals in the distance. Your interest and your level of photography will depend on what camera you take with you but even a simple point and click will be enough so don’t worry about having to shell out for an all singing, all dancing model. The scenery and wildlife will be so incredible that it will make your job as a photographer very easy indeed. Antarctica is packed with photographic opportunities. Make sure you are prepared to make the most of them. I would suggest making sure you are competent enough with the basic functions of your camera whether in still or video mode – the last thing you want to do is miss a shot due to messing about trying to set the camera up. A tripod is recommended to keep shaky hands to a minimum – these are very lightweight and fold up nicely so it is a good investment for a trip like this. If there is one very important piece of advice I would give it would be make sure you have a few spare batteries and memory cards – the cold saps the energy from batteries so much quicker than you will be used to. Keep batteries charged up and take a spare battery and memory card out with you on the Zodiac trips. 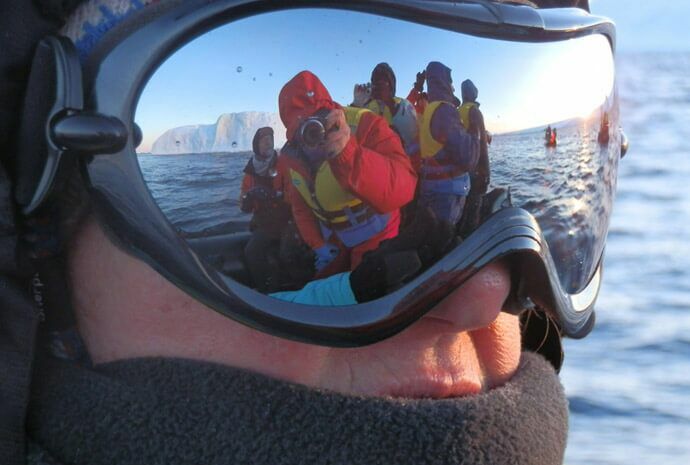 Another question is what money do you take for your Antarctic trip? Most of the components of your trip are included in the overall cost which you will have paid before you leave. Some vessels include alcohol and soft drinks during the voyage, others don’t so make sure you know which category you fall into. Onboard you can add items to your cabin account as you go along, any drinks from the bar, laundry, wifi or data packages and simply pay at the end of your trip. Debit or credit cards are accepted with the main currency onboard being US Dollars. A little cash in US Dollars is always handy to take with you as well. Gratuities tend not to be included and these are best paid for in cash – it is completely up to each individual what they decide to pay. A guide is 20 US Dollars per person per day – the gratuities are collected anonymously at the end of the trip and will be shared equally between all staff and crew members. Do also make sure to you let your bank know you’re going abroad and the destination – the last thing you want is a blocked card transaction at the end of your trip! I mentioned about wifi or data packages whilst onboard – each vessel is different but most nowadays have moved with the times and have packages available to passengers. This may involve purchasing a card with a certain amount of data on it – this can be used to check emails, send messages and keep in touch with family and friends. Don’t imagine being able to stream movies or upload all your photos to Facebook – as the connection is controlled by satellite the strength may not be what you’re used to at home. Don’t fret, this is normal but do keep this is mind. Simple communication is fine, streaming an entire season of Game of Thrones is pushing things too far. 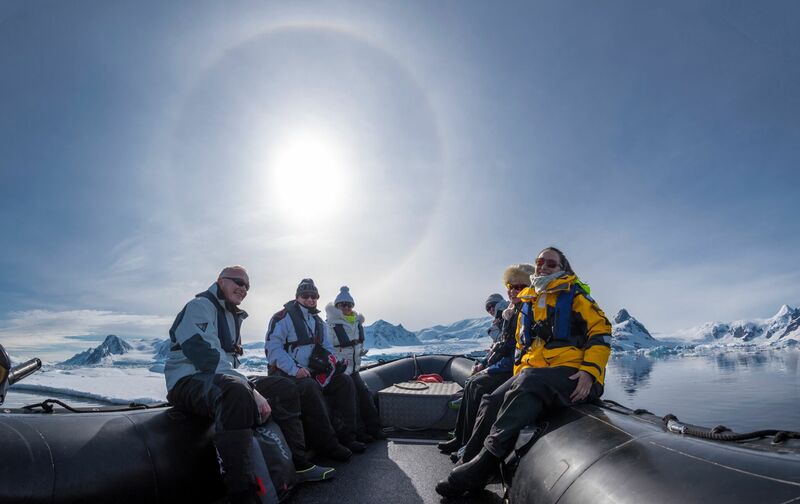 Some other handy things to pack include ear plugs and an eye mask which should help you sleep during a night time which will never really feel like night time – the Antarctic summer is famed for its twenty hours of daylight! An adaptor or converter for your electrical items is very important, do ask what kind outlet your ship will have or if you want to be safe pack an universal world wide adaptor – that way you will have covered all bases. Keeping all your items charged especially camera batteries will become like second nature to you on a trip like this. 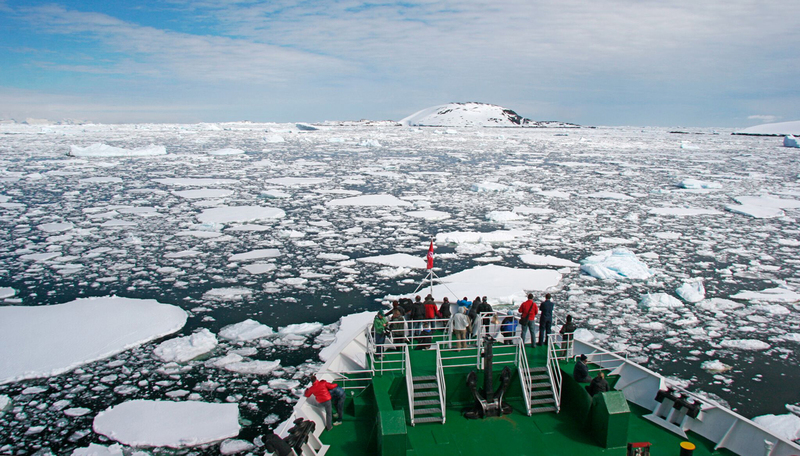 The crossing of the the Drake Passage is something that a lot of people look forward to due to the two days sailing each way and the feeling of a proper adventure beginning or ending. Despite all the excitement, this will be your time to chill onboard so packing a book or a Kindle will be something you will be thankful for. 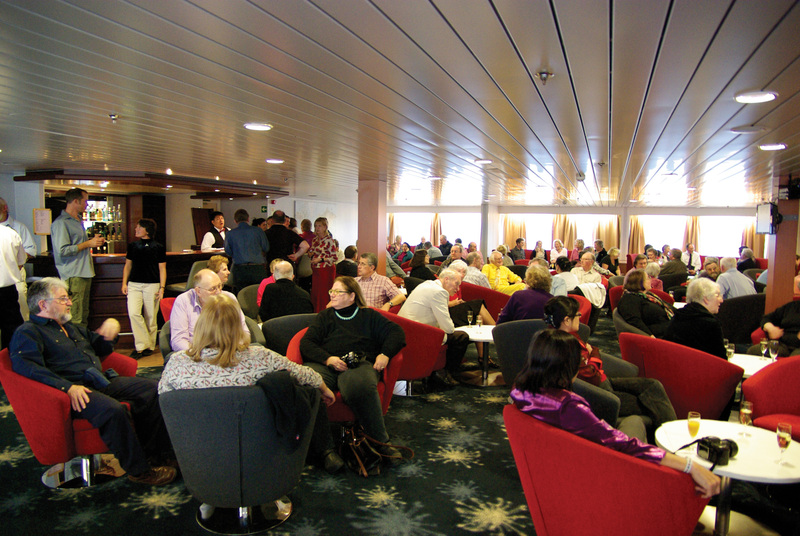 Writing a daily journal or blog, listening to music, getting to know your fellow passengers, sharing photos and listening to informal lectures given by the expert guides onboard are all ways to pass the time during the crossing. A lot of the Polar vessels will have a library onboard with books on all things Polar just waiting to be read so pick up a book and see what you can find out! You may also want to take your own wildlife book with you so can read up on all the incredible species you will experience firsthand. The Drake Passage. Gateway to Antarctica. A stretch of water notorious for its unpredictable sea states. 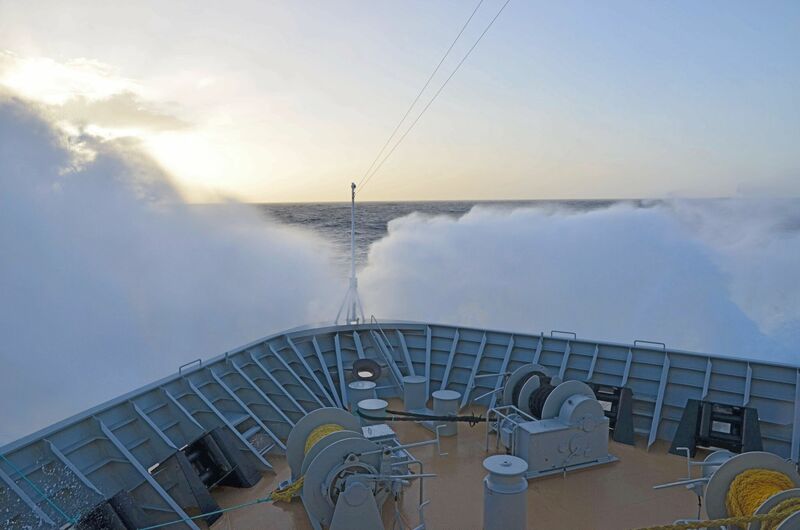 On the subject of the Drake Passage, it is a good idea to take medication with you if you are prone to feeling the effects of the sea. There are tablets, bands and patches readily available to help you in case you experience the ‘Drake Shake’ – do seek advice from a pharmacist before you depart and remember there is always a doctor onboard the vessel! Let’s hope I will experience the ‘Drake Lake’ during the next few days! Now one last thing I forgot to mention is to take your swimsuit – I know what you’re thinking why would you possibly want to take your swimsuit to Antarctica?! Aside from the fact that your hotel before or after your cruise may have a swimming pool and some Polar vessels also have a hot tub onboard, a lot of vessels will include the possibility of taking part in a Polar Plunge – yes jumping into the freezing waters of the Antarctic is not for everyone but equally this trip will have been like anything you have ever experienced before so why not have a go?! 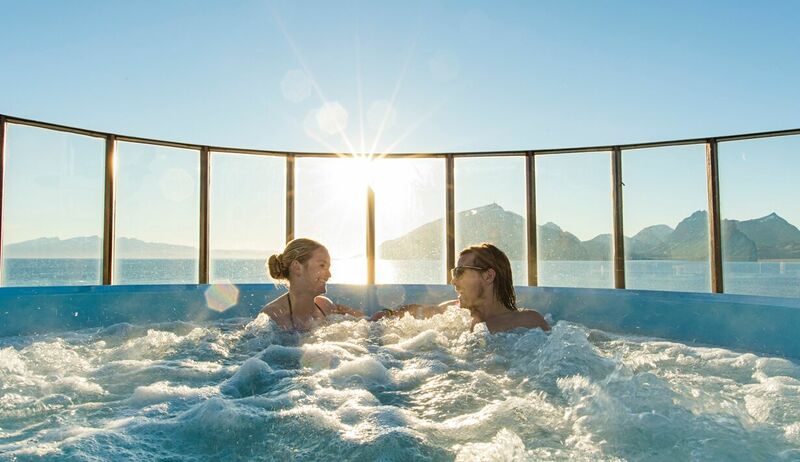 Some polar cruise vessels have a hot tub on deck. Possibly like myself you are so busy thinking about the land of snow and ice that you have forgotten about pre or post Antarctica. 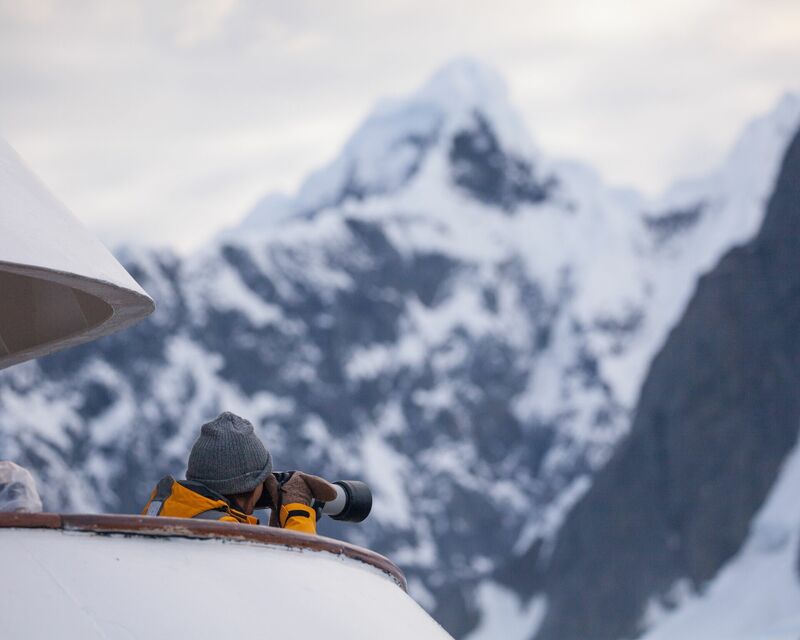 As most vessels will depart from Ushuaia at the tip of Argentina which is not exactly warm even during their summer time, you may need your layers there. Though if you have some more time on your hands and want to experience more of what Argentina has to offer then remember temperatures will be between 25C and 35C in most parts of the country. I am due to visit Buenos Aires and the beautiful UNESCO World Heritage Site of the Valdes Peninsula, which are both feeling the heat just now. Just as well I thought to check the temperatures before I left! So dig out those shorts and tshirts – you can squeeze them in the last remaining space in your bag, though your bag may be saying otherwise at this point. Preparation is key to a trip of a lifetime like this – and lots of layers! Most expedition companies will have a packing list which will be sent to you before you depart your home country. These offer a handy way to tick off items as you pack. I hope that by my sharing this packing experience with you that it will make things easier and give you food for thought. If in doubt remember you can never have enough socks! !